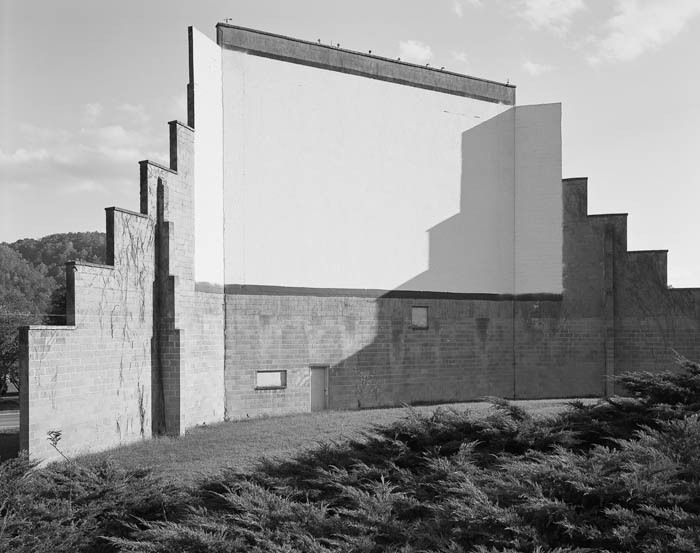 Photographic road trip to capture Drive-in Movie Theaters before the cost of digital conversion darkens their screens forever. 272 backers pledged $17,292 to help bring this project to life. 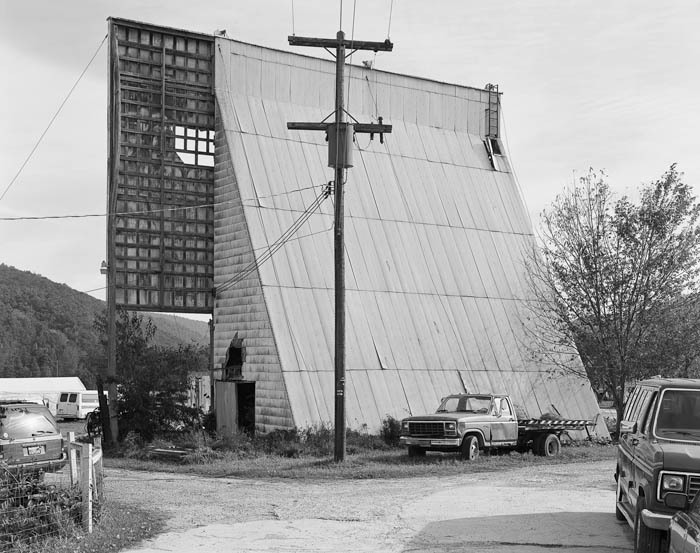 The drive-in movie theater is an iconic feature of the American landscape, perhaps the ultimate vernacular architecture. At the peak in 1958 more than four thousand of them were scattered across every corner of North America. There was a great die-off in the 1970s, mainly because of rising property values. Theater owners have told me, “Nobody gets rich from a drive-in theater, unless they sell the land to Walmart.” 466 drive-ins were still operating last summer. 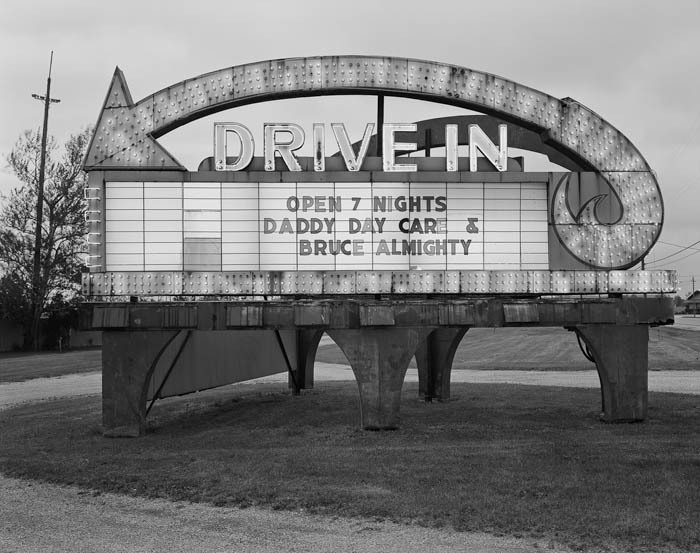 The drive-in is also a uniquely North American institution—they are virtually unknown elsewhere. Drive-ins symbolize the romance of the open road, of Hollywood movies, and for many, memories of romance itself. 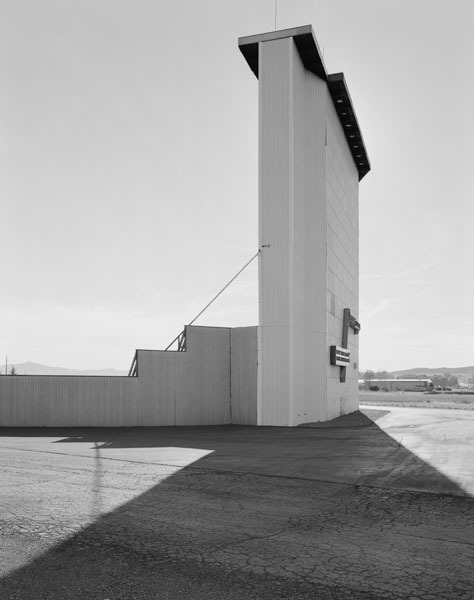 I’ve been making photographs of drive-in theaters for more than a decade now. Every theater is unique, but there are repeating visual themes like the giant white rectangle of the screen, that relate to and resonate with the enormously varied American landscape. 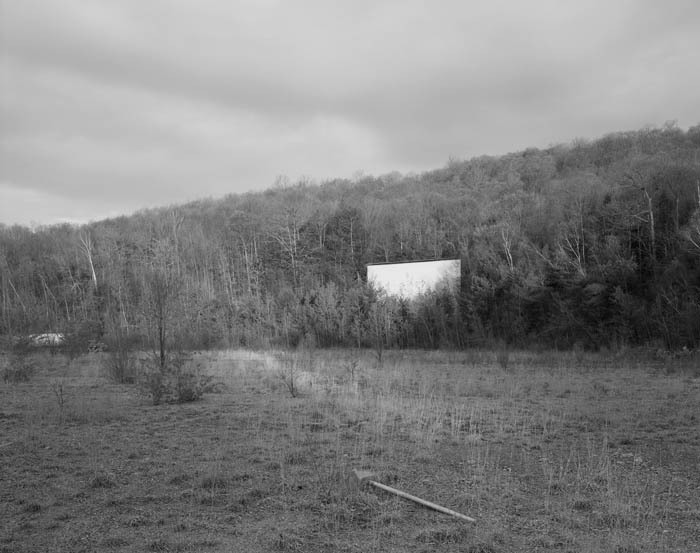 So far I've photographed drive-ins in twenty-eight states, both operational theaters and abandoned ruins. This Kickstarter project will raise the funds for a road trip to finish photographing the theaters. I've covered the theaters up and down the East Coast, across the upper mid-west and out through Montana, but to complete the project I need to reach the theaters at the farthest corners of the country from my home base in Connecticut. That's why I need Kickstarter sponsors to back the trip. I'll travel with my cameras to theaters in the south-central and southwestern states, up and down the west coast, and back across the Rockies through to the lower mid-west. As in the pictures you see here and in the video, I’ll work with very large format black and white film, as well as digital capture which will let me do more extensive documentation than I could do with film alone. It is imperative to make the trip now, this summer, because drive-in theaters are facing their worst threat since the 1970s. The companies that distribute feature films intend to stop distributing, well, film. Everything has to go digital, but conversion to digital projection costs $75,000 to $100,000 per screen. Drive-ins are seasonal businesses—I don't think I've ever met a drive-in owner who didn’t need a day job—so most just don’t have that kind of money. I hope a solution is found, but I’m afraid that by 2013 there may be far fewer working drive-ins than I'll be able to find this summer. My fund-raising goal is designed cover the expenses for this road trip, and expenses related to the fund-raising effort. Some will go for film and processing, but mostly it's about travel costs. The trip will cover at least 12,000 miles and take at least six weeks. I won’t be racing from one venue to the next. Each theater has to be photographed at the perfect time of day in the right weather, which often means waiting for those conditions. I know how to travel on the cheap, but six weeks on the road still adds up. Please check out the great rewards you’ll get for your support. Most are pictures from the project, a calendar with pictures from the trip, and exhibition-quality prints I'll make from the project pictures, along with fun souvenirs that I’ll pick up at the drive-ins and some other cool ideas. In the Kickstarter model, it's all or nothing: if we don't make our goal, the project doesn't get funded. If we make our fund-raising goal early, please don’t hesitate to become a sponsor and get your rewards. Any money beyond the goal will go directly into post-production—to design a book version of the project. Speaking of the book, as on earlier trips I'll do interviews with theater owners whenever I can arrange to meet with them. The interviews are always fascinating. The histories of the theaters are each unique and stories range from how a screen was built to how a marquee came to be designed, to how many times the screen tower has been blown down by tornadoes over a 60 year history. 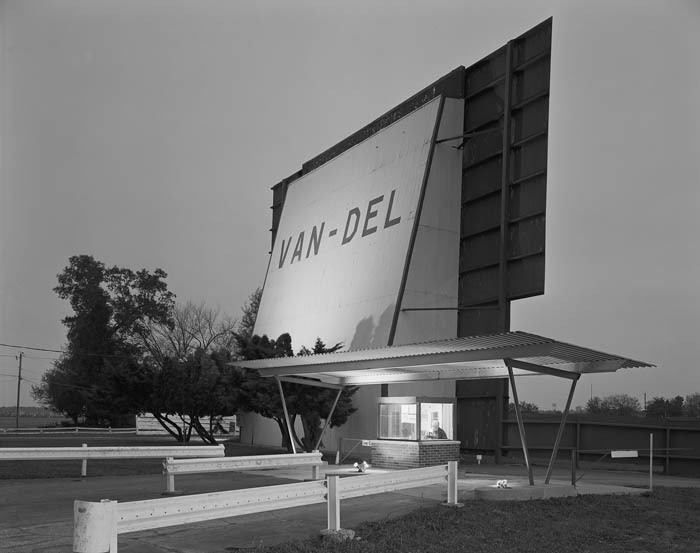 People who run drive-in theaters in the twenty-first century are never dull, and their stories fill out the history of the theaters. 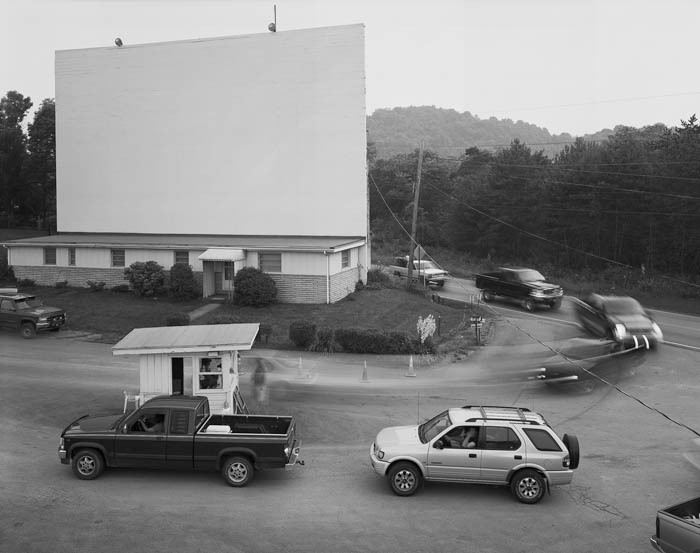 For a little more background on this long-term project on drive-in theaters, have a look at this article on the project at the New York Times lens blog. 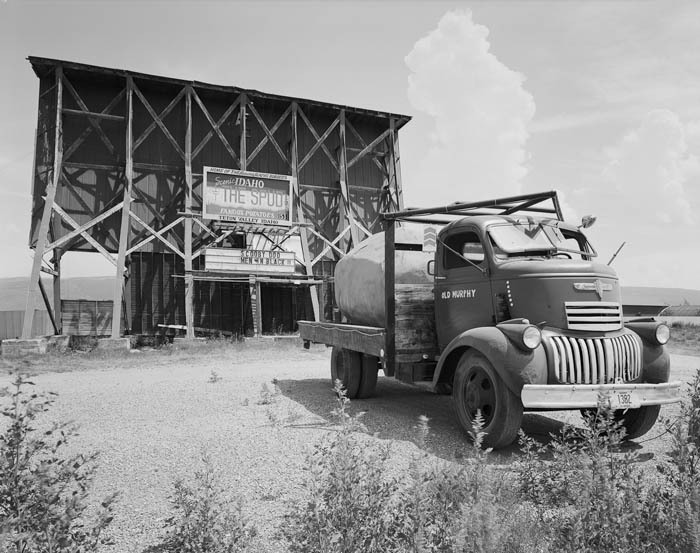 Drive-in theaters can look fascinating, even majestic, when they are in ruins, but I hope you’ll sponsor this project to help me complete the production phase now, while those 466 surviving theaters are still in operation. Thanks for reading and looking. A handwritten thank-you note mailed from the road, on a custom postcard with a picture from one of the project theaters. A handwritten thank you note postcard, plus two 5x7 color photos showing two of the most interesting theaters from this road trip. A handwritten thank you note postcard, plus a set of six 5x7" color photos showing some of the coolest theaters visited on the trip. A handwritten thank you note postcard, plus an American Drive-in Theater project 12-month calendar with color pictures from 12 of the theaters on the road trip. A handwritten thank you note postcard, the custom drive-in calendar, plus one archival exhibition quality 8x10 print from the project, and a fun souvenir from one of the theaters. (popcorn fork, refrigerator magnet? Won't know till I get there). A handwritten thank you note postcard, the custom drive-in calendar, plus one archival exhibition quality 11x14 print from the project, and a fun souvenir from one of the theaters. Special Reward: Are you a drive-in theater owner in the regions I’ll be traveling? You'll get an 11x14 print (color or monochrome) of your theater, the custom calendar, plus I'll do documentation of your theater in color and provide you with files you can use to update and enhance your theater’s web site. A handwritten thank you note postcard, the custom drive-in calendar, and a portfolio of six 11x14 archival exhibition quality prints from the road trip. A handwritten thank you note postcard, the drive-ins calendar, plus one contact-size monochrome archival print from a theater on the trip, on heavy cotton paper, scanned from a panoramic 7x17 inch negative, and one 11x14 inch print scanned from an 8x10 negative. Special reward: are you a photography enthusiast and live in the region I’ll be traveling? You’ll get the portfolio of six 11x14s from theaters on the trip, plus meet me on the road and take a private photography workshop on view camera technique, digital capture, or both. A handwritten thank you note postcard, and a portfolio of six 15x20 archival exhibition quality prints from the road trip. A handwritten thank you note postcard, plus a 16x40 inch monochrome archival print from a theater on the trip, on heavy cotton paper, scanned from a 7x17 inch negative. A handwritten thank you note postcard, and a 22x28 inch monochrome archival exhibition print from a theater on the trip, on heavy cotton paper, scanned from an 8x10 inch negative. The handwritten thank you postcard, and one hand-made platinum/palladium contact print from one of the 8x10" photographs, and one from the 7x17" photographs, each in an edition limited to ten prints and two artist's proofs. Signed and numbered by the artist.